Kareem Abdul-Jabbar hasn’t played in a game in 30 years, yet he still reigns as the leading scorer in NBA history. 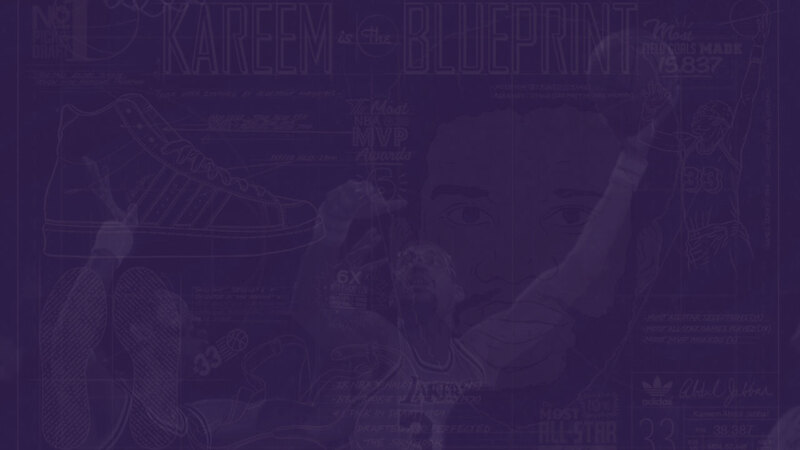 He was the NBA’s Most Valuable Player six times and was a member of six teams that won the NBA championship, one with the Milwaukee Bucks, five with the Los Angeles Lakers. He scored 38,387 points, mostly without the benefit of 3-point shooting. In fact, the 19-time All-Star made exactly one shot from 3-point range. He attempted 18. Of course, he was deadly closer to the basket, where the 7-foot-2 center’s patented “skyhook” was unstoppable. Even before he was in the NBA, Abdul-Jabbar — then Lew Alcindor — won three NCAA championships with UCLA. His college teams only lost two games and his high school team won 71 in a row. 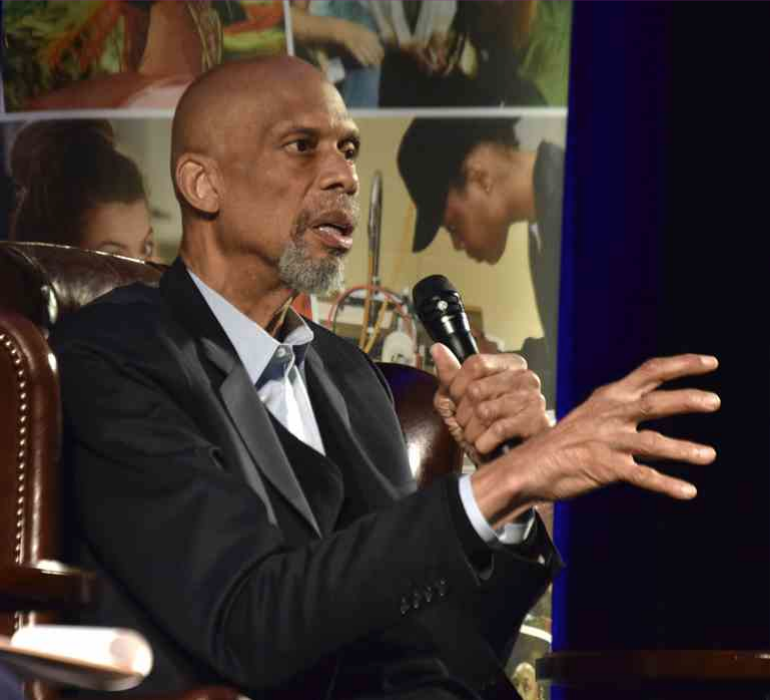 Abdul-Jabbar, now 71, took some time to answer a few questions before his appearance Thursday night at East Tennessee State University to promote the school’s Civility Week festivities. Q: Nobody in NBA history has as many points as you, yet you made only one 3-point shot in your career. What do you remember about that shot? A: It was a long rebound. I ran out and got it right there at the 3-point line. Nobody came out and guarded me so I stepped back and shot it. Q: Was that a moment you remember well? A: It’s one of my unique moments. Q: You were an outside shooter for one day, weren’t you? Q: Have you enjoyed the resurgence of your first NBA team, the Milwaukee Bucks? A: I see how they’re doing well and how they have the best record in the league. I’m not surprised. They’ve been building toward that for a long time. Q: Have you kept up with the current state of the Lakers? A: I live in Los Angeles. Everybody knows what’s going on there. They had LeBron get injured. And while he was injured the season just went sideways. They have high hopes. Get everybody healthy and get the one, two players they need to contend. Q: What was your favorite movie that you appeared in and why? A: That would have to be “Airplane!”. It’s an all-time comedic movie and I’m in it. I have to like that. Q: Basketball. Martial arts. Acting. Writing. You never stop reinventing yourself, do you? A: I didn’t want to get bored and I didn’t want to get poor. It’s not like it is now, the guys retire and they’re very wealthy. Guys from my generation had to become businessmen and continue to take advantage of the great opportunity we had. Q: You auctioned off your championship rings for charity. What thoughts went into that decision? A: I have so many wonderful things that I own. It’s not easy to take care of all those things, insure them and look after them so I was able to use a lot of the money from the auction to go to my charity and help me do the things I’m doing for the L.A. Unified School District kids. My program has like a 6- or 8-year waiting list. The money I sent over from the auction will help defray those costs and keep them going.